We are set up at table 309 on the third floor of Min Kao. We are all interested in autonomous vehicles and know they will be a huge part of the future. We wanted to learn more about how they work specifically using Lidar technology. 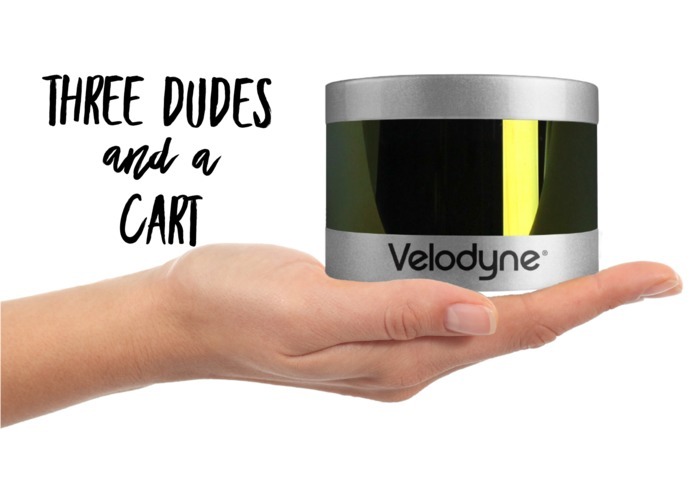 Our cart uses a Lidar to sense the environment in real time and calculate the distance to any object with a 360 degree view. The whole system is a collision avoidance system and we use the data from the Lidar to avoid collisions. So if the operator of the cart gets too close to an object it alerts the operator with a computer generated voice and tells the operator how far away the object is. The project was written in Python and used the data received from our Lidar. 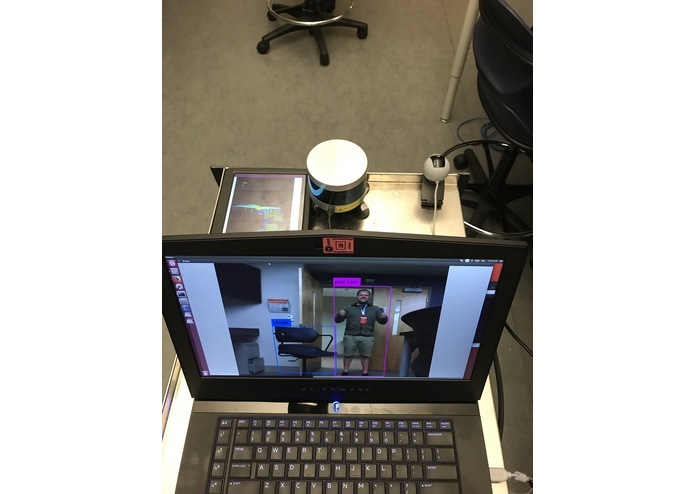 We also incorporated a camera the has object detection and can detect up to 80 different objects. The website was built with Html5 and CSS using the great software from Structure.sh to build and deploy the website. The whole thing was full of challenges. We first planned on using a NVIDIA Jetson AGX Xavier Kit. It was our first time using and setting one up and we spent half our time trying to get it to work but due to UT's network policies we were not able to use it. We changed to using an Alienware Laptop as the host to communicate with our Velodyne Lidar VLS-16. We built a great website. 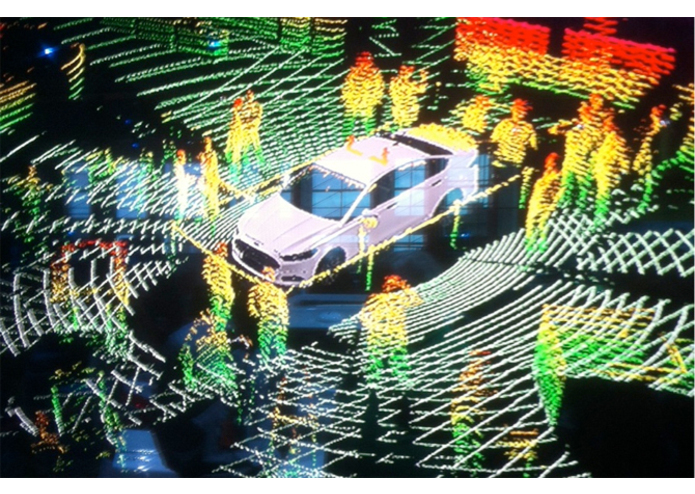 We have a very cool sensor that is the most advanced sensor used in autonomous driving vehicles. We implemented a camera that detects objects and shows what the object is on the screen. Lastly we have a voice feedback to alert the operator of obstacles and report the distance of the obstacle. We learned how to set up and use a Lidar and process 3-d data in real time. One interesting thing about a Lidar is that it works with non stationary objects processing billions of points of data in real time. We also learned how to use a camera to detect objects and how to make the computer output voice to the user. 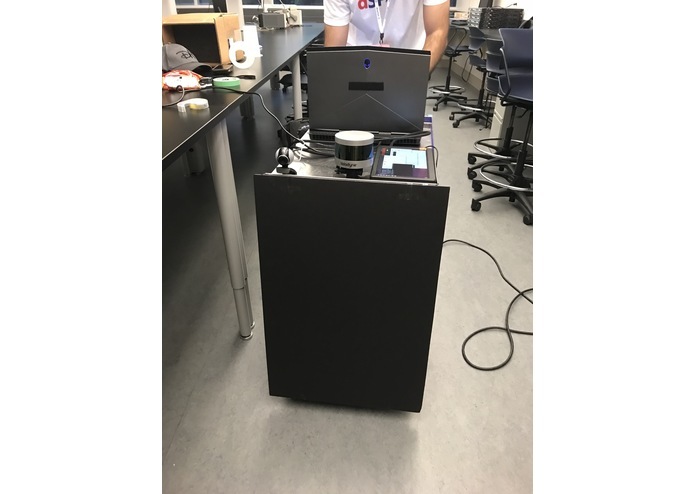 We will eventually take this system from a cart to a car and incorporate the NVIDIA Jetson AGX Xavier Kit as well as adding other sensors to make the vehicle in to a connected and automated vehicle.